World Cup 2018: Is it coming home to England? 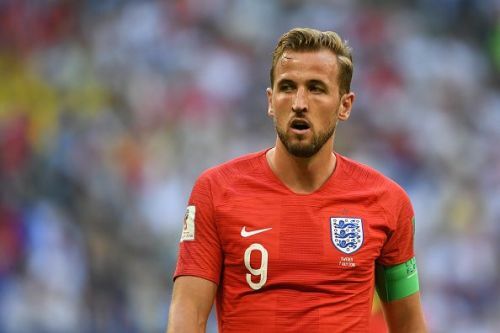 FIFA World Cup 2018: Harry Kane, English Captain and presently leading goal-scorer in this year's tournament. Given their horrendous record at the previous world cups, at least in the recent past, the FIFA World Cup 2018 has been relatively easy on the hearts of the English football fans. Now, into the semi-finals after 28 years, English fans have been chanting the catchphrase "It's Coming Home" more than ever. England ensured qualification from the Group Stage within their first two matches, defeating Tunisia (2-1) and Panama (6-1) comfortably. However, they lost the last group stage game to Belgium in a match where both teams gave their reserve players some game time. The Round of 16 saw England clash with Colombia. England were winning 1-0 when Colombia came back from the dead to force the game into extra time and eventually penalties. Here, England faced their worst fears- Penalty shootout at a world cup. England had never won a shootout in a world cup before this- they lost to West Germany in 1990, to Argentina in 1998 and to Portugal in 2006. But, this time was different for England - with a new team, they buried the past and won the penalty shootout 4-3 courtesy a save from Jordan Pickford and a little help from the woodwork. In the quarterfinals against Sweden, England never looked like losing, they dominated the game and won 2-0 courtesy two headed strikes from Harry Maguire and Dele Alli. Though Sweden was not a challenge that can be compared with what lies ahead for England and that match cannot be taken as a yardstick to look into the future of England in this tournament. FIFA World Cup 2018: Semifinals: England vs. Croatia. Last night, France defeated Belgium, another team that had been dominating their games. As England face Croatia tonight, it will be worth watching how England manage to stay on top with threats from Rakitic, Modric, Perisic and Mandzukic. This definitely is the toughest challenge for England so far in this World Cup. England will have to bank on the goal scoring abilities of Raheem Sterling and their talismanic Captain Harry Kane so as to end the match in regulation time or at the most Extra time and not go up against Croatian goalkeeper Subasic who has been in top form in penalty shootouts. At the same time, England will have to defend well so as to not concede if caught on the counter. So far, England and Croatia have met seven times with England winning four times, Croatia winning twice and one game ending in a draw. The history between the two teams shows that a game between the two averages four goals so if tonight's clash goes on the same lines, we can expect a high scoring match. If England play well and every player within the team performs optimally, it should not be the end of the English dreams. But, if they go in with wobbly knees, thinking of the past, they might yet again end up pulling off a classic England performance at the World Cup. This crop of young players have got it in them to bring it home but only time shall tell whether they can overcome Croatia tonight and France three days later to win the biggest trophy in international football after half a century.